Manchester United manager, Jose Mourinho has claimed that England international, Phil Jones is expected to be fit for this weekend’s crucial game at Old Trafford against resurgent Tottenham. The 25-year-old centre back was withdrawn on 23 minutes in the loss at Huddersfield over the weekend, and was replaced by summer arrival, Victor Lindelof. Jones, who has not missed a league game this season, is expected back against Mauricio Pochettino’s team on Saturday, which will be a big boost to us given that the player has been nothing short of stunning for us all season. United have stumbled a little after our excellent start to the season but a brace from Jesse Lingard put us in the quarter finals of the Carabao Cup to bring back confidence to a team lacking in it in recent days. Jones was on the bench in the 2-0 victory over the Swans at the Liberty, with Jose stating that he will play against Spurs, who are only behind us on the table based on our superior goal difference. Mourinho will want Jones to be back most especially to curtail the threat of hit man, Harry Kane who has already netted 17 goals for club and country this season. “So a good day for us. I think Jones will be [back] because, today [Tuesday], he was on the bench and he told me he will be ready in case I need him. So I believe he’ll be even better for Saturday.” he added. Jones has regained the form that saw United and Sir Alex Ferguson shell out big money for his signature back in 2011 and is now one of Jose’s trusted players and one of the first names on the team sheet if he’s fit. 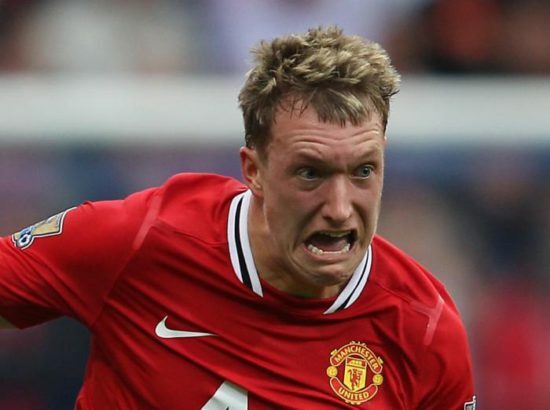 Jones is an old school centre back that is known for his safety first approach. He is good for his headed clearances, interception and tackling. He can also play as a right back and a defensive midfielder. He joined United in 2011 and has won the league, League Cup, FA Cup, Europa League and 3 Community Shield titles. He has scored 5 goals in 177 matches but has always been beset by injuries.